The TV, live streaming and radio listings are legal broadcasts of Borussia Dortmund - Bayer Leverkusen in United States. Authentication or subscription with a TV, ISP or streaming provider may be required. Please note that not all channels are available to watch online. If available online, we will link to the official stream provider above before kick-off. It's a top of the table clash as Bayern Munich and Dortmund lock horns at the Allianz Arena. 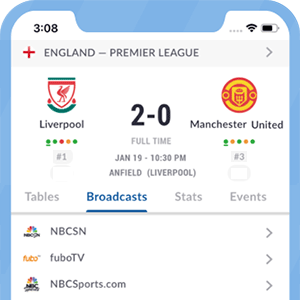 Live Soccer TV's match preview provides match facts, team news, and global broadcast listings for Bayern Munich vs Borussia Dortmund. The German outfit has cautioned the Premier League outfit with speculations about their player's future growing.